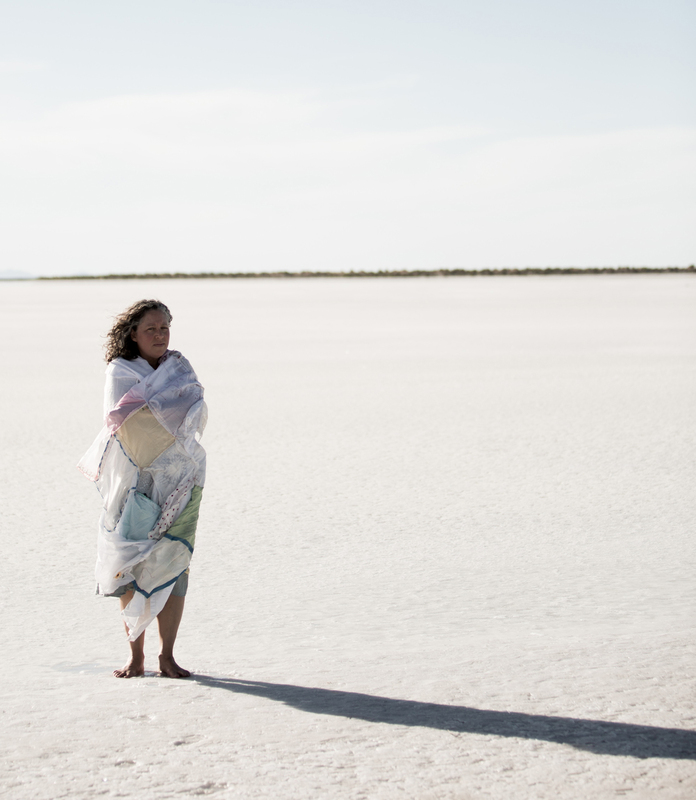 Beth Krensky, shown here performing her Shroud/Shawl piece (photographed by Josh Blumental), tells us that for 2015: “I continue to engage with my performative pieces and will return to the Salt Flats to perform my piece, Skirt of Sorrow and Forgiveness that was recently exhibited at the UMFA. I am starting work on an installation, The Store of Wishes, that references commerce in the art world as well as the idea of “store” as a repository. I will create a store that sells and stores wishes—both the remembrance of and hope for these desires.